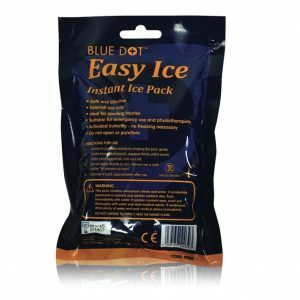 Easy Ice Disposable Instant Ice Pack. Provides on-the-spot cold therapy for bruising, sports sprains and muscle injuries. 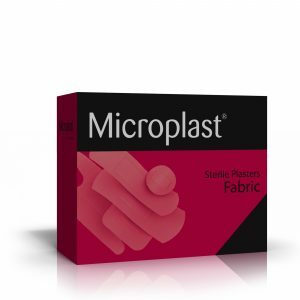 Fabric Plasters, Waterproof Plasters, Blue Plasters, Assorted Packs, Single size 7.5×2.5cms (100 per box). 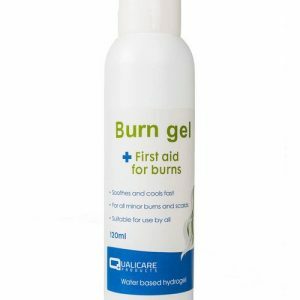 Burn Gel Bottles suitable for emergency treatment of burns, scalds and sunburn. Moisturises, cools and soothes. 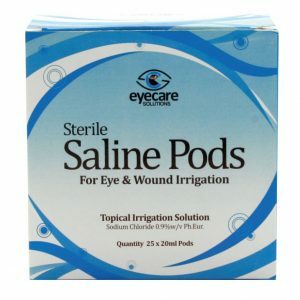 Eye Wash Station contains 2 x 500ml eyewash pods and 2 x 16 Eye Pads and Mirror. 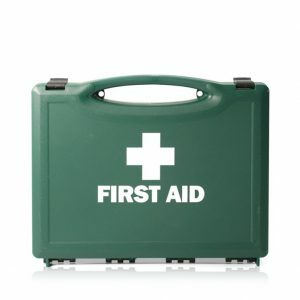 Workplace and statutory Medium sized First Aid Kit. Large Kits also made to order if required. 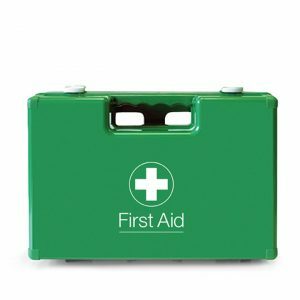 Workplace and statutory Small First Aid Kit. Made to order if required.